Patricia A. Hespe, 74, formerly of Lincoln Village in Port Washington died Wednesday, April 27, 2011 at Ellen’s Home in Port Washington. She was born July 4, 1936 in Port Washington to Jerome and Mabel Kibbel Molitor. She grew up in Port Washington and married James “Jim” Hespe on October 11, 1958 at St. Mary’s Church in Port Washington. He preceded her in death on February 1, 2010. 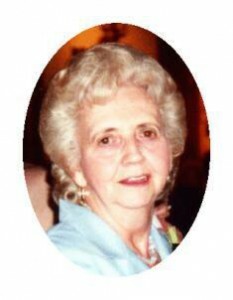 Patty was a loving, spiritual and caring woman who enjoyed her role as homemaker and being the family caregiver and babysitter. Her faith was very important to her and she valued the power of prayer as part of her daily life. Many have been recipients of Patty’s poetry in notes and cards sent on special days. She is survived by her children Steve (Bonnie Hein) Hespe of Mukwonago, Carl (Angie) Hespe of Waupaca, Jaime (Duane) Rismeyer of Port Washington and Dena (Jay) Jacque of Cedar Grove, grandchildren Steph (Shawn) Diedrich, Stacy (Jeff) Clayton, Tim (Nikki Leonsteiner) Hespe, Jake Hespe, Hilary (Jason Rein) Hespe, Caleb Hespe, Zachary Hespe, Shane (Ann Marie Axarlis) Rismeyer, Amanda (Brandon Slayton) Rismeyer, Taylor Jacque, Toni (Jeremy Campbell) Jacque, Spencer Jacque and Jessica (Charlie) Coulter, great grandchildren Logan Hespe, Carter Hespe, Hadley Hespe, Noah Diedrich and Owen Diedrich. Further survived by brothers Gary (Jan) Molitor of Port Washington and Michael (Vickie) Molitor of Kewanna, Indiana, sister-in-law Georgine Molitor of Port Washington, brother-in-law John �Jack� (Debbie) Hespe of Jackson, former daughter-in-law Sue Hespe of Waukesha, other relatives and friends. Preceded in death by her sister Carol (Fritz) Berndt and brother DuWayne Molitor.